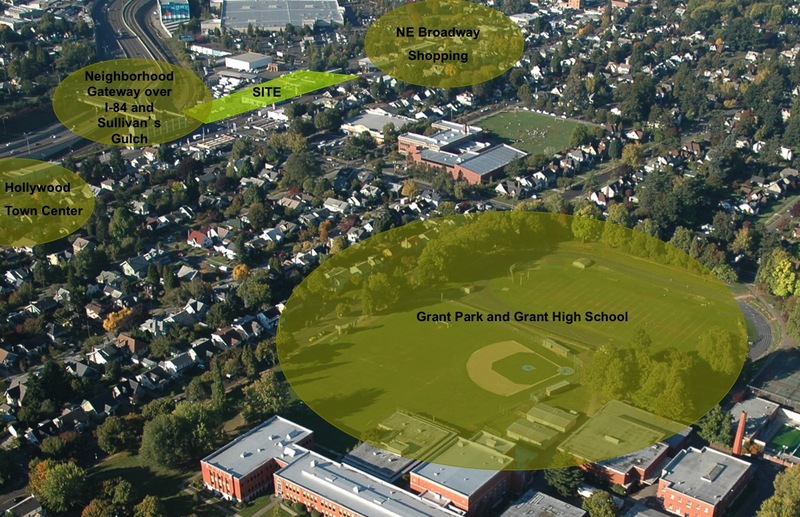 Grant Park Village context. Phase I was completed in late 2014. Image by LRS Architects. 4 story apartment building with 46 units and basement level for parking and storage. Five story housing over sub-grade parking structure. Pre-application conference to discuss Type III Conditional Use Review to construct a new parish hall and make alterations to existing church and church rectory. Pre-Application Conference to discuss conditonal [sic] use review for new 650 seat church building and small office building. Existing church will be remodeled to become new social hall. New three story 15 unit apartment building. Adjustment for 33.266.110 minimum parking standards.